Algeria: The Next Arab Explosion? Is a New Spring coming to Algeria? Is Algeria North Africa’s New Migration Hub? The region coinciding with present-day Algeria boasts a rich history unbeknownst to many. Algeria has been inhabited by modern humans for at least 40,000 years (and probably for 2 million years by earlier humans). Stone carvings and rock paintings in the Saharan area of Tassili n’Ajjer, near Djanet, date back at least six thousand years. Once forming part of the Carthagian empire, centuries later it was conquered by Arab forces, who eventually were replaced by Berber dynasties, including the Almoravids and Almohads. Afterwards it became part of the Ottoman Empire. In 1830 Algeria became a French colony. Uniquely, it served as a French ‘settler colony’, where a substantial French colonial migrant community settled. This partly explains the long-drawn and bloody nature of the war of independence (1954-1962), which threw French domestic politics into a deep crisis. 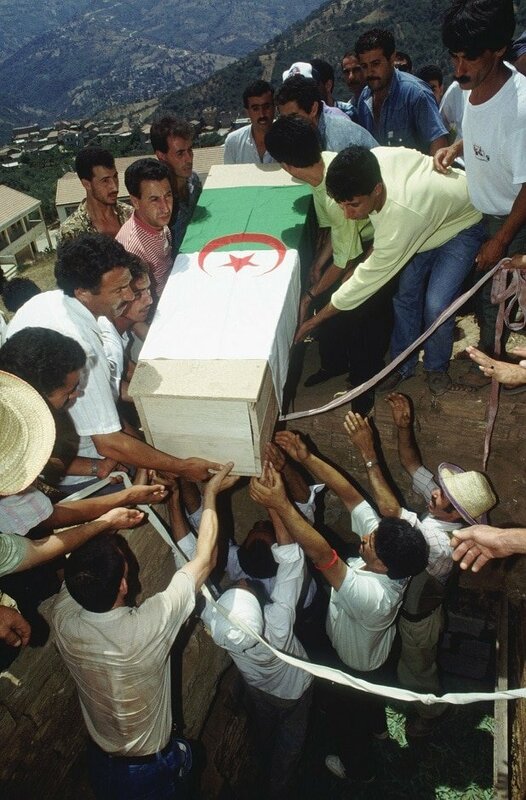 A large exodus of so-called pieds-noirs (descendants of the French colonizers) and harkis (Algerians who served in the French army) followed the victory of the Algerian nationalists. The revenues generated by oil and natural gas seemed to put independent Algeria on the road to a promising future. However, the violent civil war (1991-2002) meant a severe setback, when the incumbent regime obstructed the Islamists’ overwhelming electoral victory. Algeria has since reached smoother waters, and has until today remained more or less untouched by the ‘Arab Spring’.